This batch of live action reenactments of classic disney movie moments features Olivia Wilde as the Evil Queen from Snow White and Seven Dwarfs. 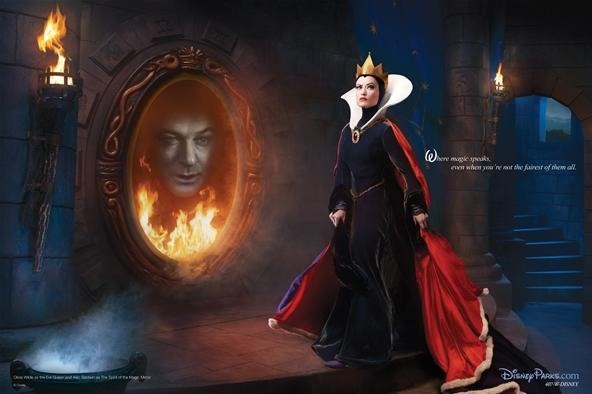 In this frame there is also Alec Baldwin as the face in the magic mirror. Beauty and the beast features another Tron 2.0 actor, Jeff Bridges and Penelope Cruz (She is also in the new pirates movie). Last but not least is Ursula from The Little Mermaid. Queen Latifah takes on this role.